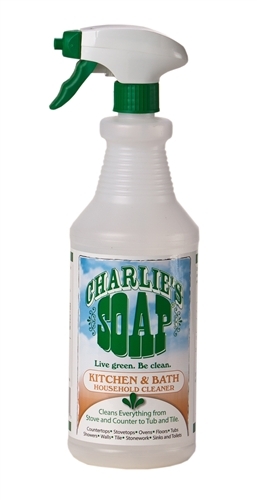 Charlie's Soap Kitchen & Bath Natural Cleaner. 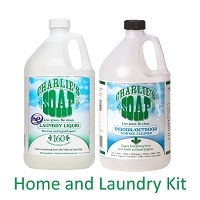 Charlie's Soap Kitchen & Bath Natural Cleaner is a hard surface cleaner developed to a safe green alternative for all of your daily household cleaning chores. It is the perfect blend of effective cleaning and environmental safety. Kitchen & Bath Natural Cleaner is made from all natural washing soda and coconut oil based detergents. It is certified biodegradable, non-toxic and safe for the environment. It cleans the way you want it to without the need for harsh chemicals or the need to wear gloves.